The reason is they promptly came up with a fix to what many viewed as a ludicrous situation, namely the four stroke penalty given to Lexi Thompson during the ANA Inspiration. 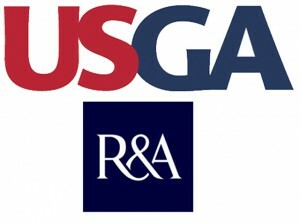 The USGA and R&A modified the Rules of Golf to address an obviously inherent unfairness. Decision 34-3/10 of the Rules of Golf, which takes effect immediately, limits the use of video in accessing potential rules infractions. The announcement has caused an eruption of comment on the Internet from both the knowledgeable and, as one might expect, also those who are evidently clueless. Though the Internet is a tool we have come to rely upon it’s also provides a ready forum for the uninformed. But setting that aside and in case you’ve been otherwise occupied, Lexi Thompson was on her way to winning the ANA Inspiration, the LPGA’s first major of the year, when during the third round she marked her ball on the green but inadvertently replaced it one-half inch from the original spot. A television viewer pointed this out in an email to LPGA.com the next day and after reviewing the video the LPGA rules committee assessed Thompson a four stroke penalty. Officials informed Thompson of the penalty on the 13th hole of the final round and what was a three shot lead at the time became a one shot deficit. Thompson eventually lost the championship in a playoff. The outcry by everyone from fans to players to those who can’t tell a birdie from a bogey was tremendous. Tiger Woods even got into the discussion condemning the whole idea of officiating from a sofa. Though the USGA said no particular case prompted their action it’s more than coincidental Decision 34-3/10 came just three weeks after the Thompson penalty. In addition of course, there was the other well publicized incident during the 2016 U.S. Women’s Open playoff when Anna Nordqvist was hit with a two shot penalty after high definition, close up, slow motion video showed her club grazing a few grains of sand. Now under Decision 34-3/10 officials have two ways to judge the use of video in determining if a penalty is to be accessed. First is the so-called “naked eye” standard which simply means if high definition video is needed to see a potential violation then reasonableness dictates there is no problem. The other part of the decision also uses the reasonableness standard to judge the location of a drop or ball placement. The lords of Far Hills and St. Andrews evidently got a lesson from the situation surrounding what’s called the “DJ Rule” last year. During the 2016 U.S. Open Dustin Johnson was penalized when his ball laying on a green rolled about the width of one dimple and it was judged more likely than not he caused the ball to move. However Rule 18-02 was rewritten done less than six months later and under the same circumstances should a player cause the ball to move inadvertently it could be replaced without penalty. Is the new “Lexi rule” in Decision 34-3/10 perfect? No, and it may be modified in the future. But critics and naysayers should take into account the obvious. The game is not one of perfection nor played in a controlled environment. There always has been and always will be room for judgement, equity, reasonableness and fair play. Reasonableness and reasonable judgement…how refreshing and we didn’t have to wait for the usual four year cycle of rules rewrites. Unfortunately what has been lost in all the noise over the unfairness of the Nordqvist or Thompson incidents, is congratulations to the USGA and the R&A for doing something in a competent and timely manner.